5 Different Ways To Say "I Understand" In English. I don't see any reason you should stick to the old way of doing a particular thing while there are varieties of ways through which you can do that thing. If you are really tired of the old fashioned pattern, this article is for you. Today, I am going to show you five different ways you can say 'I understand' in English Language. Although this expression is very common among native English speakers, it has also made its way to non native English speakers who have even made the slang, 'I gat you' from it. It is another way of saying 'I understand' and its usage is acceptable in an informal setting as it is mostly used among friends but not suitable in formal atmosphere/environment. It has 'I got you' as its past form. Hello Jeff, I'm sorry I can't make it to the rehearsal scheduled for today. Why? Your presence is really needed. I have a professional exam tomorrow so I need extra time to prepare for it. Oh, I get you. Success in advance. You know people always want to be heard and feel that someone understands them, especially during a conversation, so telling them 'I hear you' simply means you are fully engaged in the convversation and paying attention. Invariably, you are telling them you understand what they are saying. I can't believe I failed a simple test. I hear you. Maybe you didn't prepare well. You should try harder next time. Using this expression to show understanding simply means you have had an experience of what the person you are chatting or discussing with(i.e. the interlocutor) is talking about. I am so weak and tired. I was awake throughout the night because of my professional exam. Oh, I know what you mean. I actually felt the same way when I was preparing for my JAMB examination. You will be fine. 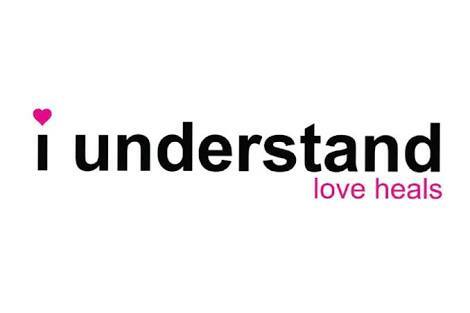 We say this most times not knowing that it is another way of saying 'I understand'. When someone is explaining something to you and you understand or are in agreement with the person, it is very common to say 'of course' in order to reaffirm that agreement. Non native speakers have even added 'yes' to it by saying 'yes of course' or 'of course yes'. Teaching as a job can be very tiring. Only teachers understand what I'm taliking about. I really need a holiday to ease the stress. 5. I see where you are coming from. This is just like 'I know what you mean'. Therefore, using it as a way of saying 'I understand', puts you in the shoes of the person you are interacting with, hence your easy comprehension of the person's opinion and the reason behind it. Mr John, your attitude at work these days is very appalling. You hardly meet the deadline for the submission of lesson notes. I am really sorry about that; I have some family problems and it has been very difficult for me, especially at work. I see where you are coming from, but you must try to be hardworking while here. Why don't you take a day off to spend with the family? I am cocksure it will help. Thanks! I will consider that. In sum, English as a language is very rich in synonyms, so using a particular word, phrase or clause often, only shows your lagging relationship with the language. Always visit this blog for more.